This image isn't the best but it is the only one I have of my one and only run down Gore Canyon. This was the last image on a roll of film, and while changing rolls I dropped my only unexposed roll in the river. D'oh! 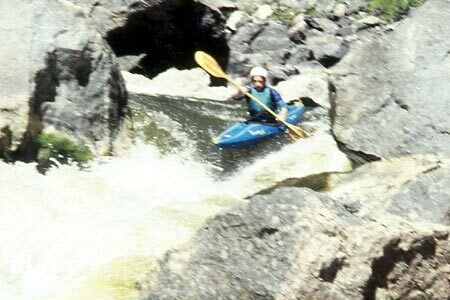 Gore Canyon regulars will note the extremely low water level -- 500 cfs. We were told it couldn't be done that low, but not only could it be done that low, it felt like home . . .